This cleansing gel for all skin types gently removes impurities to reveal your skins' radiance. 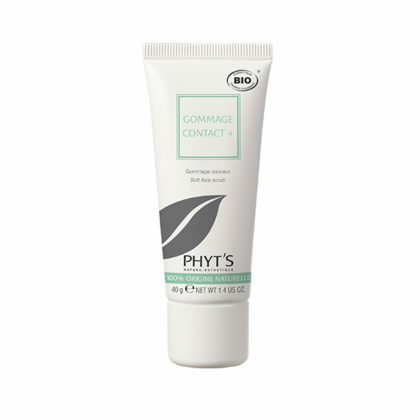 Massage Gel Pureté Visage to a wet face and throat area. Rinse thoroughly and pat dry. Follow with Hydrolé d’Oranger or Hydrolé d’Eucalyptus facial toner to complete the cleansing process. Aqua/Water/Eau, cocamidopropyl betaine, Vaccinium myrtillus (Bilberry) fruit extract*, caprylyl/capryl glucoside, Glycerin, cellulose gum, Pelargonium graveolens (Rose Geranium) flower oil*, Cymbopogon martini (Palmarosa) oil*, Rosmarinus officinalis (Rosemary) leaf oil*, Lavandula hybrida (Lavandin) oil*, xanthan gum, citral**, citronellol**, geraniol**, linalool**.